Unitarian Universalism has an aspiration toward full-time professional religious leadership. The ideal model is a congregation with full-time, fairly compensated professional leadership in all areas -- a full-time minister, DRE, Musician and Administrator. There is a commitment that we strive toward equity between the professions and in some areas, there are legal requirements that the same benefits are offered to all employees who work a certain number of hours. Only a minority of our churches are able to carry such employment costs financially. Our aspiration when it comes to the terms of employment for our religious professionals is that of a successful mainline Protestant church of the 1950's. And because that is the aspiration of our professional religious leadership that becomes the ideal model of successful liberal ministry. Yet, we know that the 1950's mainline Protestant church are the large dinosaurs of a religious ecosystem that is changing. The trend seems to be toward fewer and larger churches at one end and many more smaller organizations at the other end. We are locked in to a professional system that is of the old ways. And the fact that our ministerial formation process is so expensive means that our debt-ridden new ministers are not even more motivated toward serving the kinds of churches which are becoming obsolete. 2. A second problem: Congregationalism vs. Employment Cooperation between Congregations. There are no mechanisms for sharing employees between congregations. 3. A Third Problem: the weak administrative structure of our small congregations vs. the legal requirements of being a competent employer. The stories are legion, reported by the OCSF and by the professionals themselves: congregations have volunteer treasurers and bookkeepers, some of whom are completely inexperienced and others without current knowledge, They mishandle taxes, W-2's, pension contributions, and insurance premiums. Health Care Reform will dramatically increase the level of reporting required of employers in the future. The picture is that of a cadre of religious professional whose livelihoods are often in the hands of administrative structures that are too weak to be reliable. What we need: We need "super-congregational" structures that function as employers. (By "super" I mean "above" not "better".) These structures would allow multiple congregations to share ministers, musicians, religious educators and administrators. One idea would be for the flagship congregations in a region to actually employ a larger staff, providing services to smaller, local congregations and billing them appropriately. Perhaps Districts and Regions could become employers. If the UUA can run a professional health insurance company, there is no reason why it cannot create or contract with a third party to provide payroll services for all congregations, thus standardizing and professionalizing this function. Thanks Tom for your service and prophetic leadership! In the Knoxville area, Tennessee Valley UU and Oak Ridge UU have just finished the first grant-funded year exploring staff-sharing and will move into administrative staff-sharing this next year, with a vision of opening up a collaborative administrative platform for multiple congregations in the years ahead. Meanwhile, Oak Ridge and Westside (another Knox-area church) have applied for grant funding to explore shared professional music staffing. These experiments are all undertaken in the context you describe. Well done, but you may have stopped too soon. Where once we derided Walmart for famously hiring in patterns that never allowed employees to qualify for benefits, now we see that part-time pattern present and growing in our congregations. On the first point, we will age as the clergy ages, something we cannot afford. Selecting our most promising candidates for higher levels of support is an idea to be discussed. Second point...this is not hard, it just needs sample agreements generated out of OCSF. Your third point, seem however to require the most change. The creation of clusters, growing but not comprehensive, looks to me to be the way in which service distribution will occur. Whether it will be Regions (I believe districts were never "right sized" and are rapidly being rethought by lay leaders. )delivering or large churches will unfold. Our congregation already identifies being a "Resource Church" a part of its identity. I don't think that is likely to be reversed. Tom, I have been thinking along the same lines. It is just not more competent administrative support it would also be more cost effective. I think churches could save thousands of dollars a year in administrative cost and have better service at the same time. Good questions, and solid issues to tackle. I instantly think of the 'collegiate' model between RCA churches (Marble, Middle, etc) in which clergy are yoked in some way. Might this be a model that could be useful for financial management, congregational help, etc? Not sure how it could work in areas where churches are more than an hour apart. All 3 problems can be taken care of by having a mid-sized or larger congregation take on nearby fellowships that want to grow and haven't been able to. By "take on" I mean have the smaller congregations become a satellite of the larger one. There are UU churches that are successfully starting and keeping new satellite "plant" congregations. The leaders in this area appear to be San Diego, CA with its satellite in Chula Vista; Albuquerque, NM with 2 satellites; Appleton, WI with its satellite in Oshkosh, and new satellite operations in PA and NY. What hasn't been done, but is just about to be done-- it for a larger church to take existing smaller fellowships who want to get big in under the larger church's administrative and program structure as a satellite. My church, the First UU Church of Houston, TX, will be taking on two smaller nearby congregations as not just a satellite-- but a merger. We will be one church in 3 locations. We are starting now, and expect to be operational by the 2nd Sunday in September, 2012. Doing this requires the adaptive change of identity making. And it also requires us to identify what our core ministries are and to put in place church systems for them that are scalable and replicable across all 3 campuses. It is a huge challenge, but if this works, it will be a new model for the whole Association. Alas, even as the social trends & demographics point more and more toward “community ministry” as one of the most viable & vital model for liberal religion in this transitional period & beyond, the UUA & associated bodies continue to turn a blind eye & a deaf ear to the needs, gifts, & potential creative responses to these larger problems offered by specific community ministers, & community ministry itself as a conscious strategy for adaptation & change. How should community ministers be placed and paid? Right now, the only way to get UU money into anybody's hands to do UU ministry are (1) a congregation pays them (2) the UUA pays them or (3) a grant from one of the grant-making bodies. It's a practical problem created by our reliance on congregational structures. Regarding Community Ministry. That is exactly the point. Community Ministers are not paid by congregational structures. We exist independently of them, most of us independently of any reliance on any UU structure. As we are not dependent on the generosity of the people in the UU pew, we are not subject to the economic forces that now affect our churches. I understand Parish Ministry. I was a Parish Minister for 13 years. I have been a Community Minister for more than 20 years now earning a six-figure income. Not a dime comes from a UU source. In fact, I am one of the larger pledging units in the UU congregation where I am Affiliated. While I understand the reluctance to embrace the future that is obviously coming, the fact is that Community Ministry is the answer. The proposal that large congregations vend services to small congregations on a fee-for-service basis to help them strikes me as unrealistic. It might work for a short while. But sooner or later the people in those pews will say "We shouldn't have to pay that big church all this money. We can do it ourselves! Resolved, volunteers shall be found…." And you will be exactly where you are now. The future will be clergy who earn much or most of their income from Community Ministry and part of it from a congregation in return for a part-time ministry there. These bi-vocational clergy are the answer for the smaller congregations. The problem is that the Unitarian Universalist Association has not embraced its Community Ministers and the theological schools have no clear idea how to train them. They proceed on the basis of untested ideas when there are models of success all around them that they will not look at. They will not look because it would require them to move beyond their comfort zones and they are not yet in such pain that they will do that. But I think that day will come. I also wonder where digital ministry fits into all of this; I think that a lot of this work is not yet recognized as being an important part of what religious professionals do. At this point, I think that there are quite a few who believe that we don't yet know how to "do" digital ministry. I think that we don't yet have the structures in place to support it. Something that this post and existing UUA structures do not ever seem to consider is the very real issue of geography, especially west of the Mississippi and south of the Mason Dixon line. If I had read this while living in Chicago while my husband was in seminary, I would have clapped and cheered at the idea of sharing staff resources between congregations, because I would not have yet had the experience of living in and working for a district that reaches from Canada to Mexico. 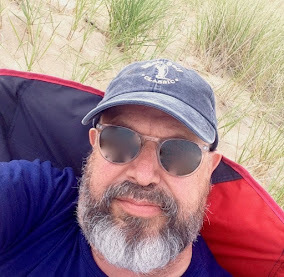 But the reality of living and ministering out here is that our congregations and their ministers are physically isolated, and digital connections can only do so much. In New Mexico, cluster meetings of colleagues require some to drive more than six or seven hours, and our district meetings require plane tickets. And now we're moving towards regionalization, where we will be expecting the needs of UUs who reside geographically in almost half of the country to be served by one organization. And even though the current UUA president comes from here and should know more about these geographical challenges, we still see the vast majority of ideas for sustainability of our structures ignoring the issues of size and distance. A hundred tiny churches in the northeast are still within driving distance of each other. Out here? Not so much. Jess, what direction should we go to solve the problem of the unsustainability of full-time professionals out West, where sharing is not geographically possible? 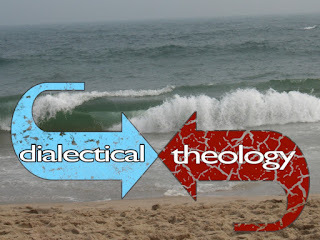 Is this an unsolvable problem out there, and should we just expect that most ministry will be bi-vocational? Tom, I don't think it's an unsolvable problem, but rather one that is being ignored instead of worked on. Western (and southern) congregations don't have the critical mass of membership (individually or collectively) that is present in the northeast and areas of the midwest. Really what it comes down to is money. There are a number of congregations in Mountain Desert, for example, that have been trucking along for years and years at a certain size not because there aren't more people who want to be a part of them but because the money just isn't there to provide levels of programming and/or physical facilities to support/attract those people. Anecdote: my congregation in Los Alamos, NM, still resides in a WWII-era building that was renovated from a dormitory built for Manhattan Project scientists, a building that was deemed a "temporary" structure in 1959 by the company that built it. The congregation has known for years that a new building is an absolute necessity, and yet just to replace the too-small space we have with exactly the same amount of space updated for current safety code will cost us a million dollars more than all of the fundraising calculations tell us we'll be able to raise. Most people want to be part of an established organization that doesn't have to pinch pennies in every direction, and are not willing to put the work in to grow one from a tiny fellowship to an actual church, particularly when hampered by geography. If the UUA were to develop ways of sharing financial resources saved in areas of geographical convenience using ideas of consolidation such as yours with those areas that are harder to reach, that would go a long way towards sustainability. The UUA and UUMA could also help by *actively* supporting ministers who are physically isolated by geography, both financially and by creating more opportunities for collegial gatherings digitally or physically. Subsidizing local chapters of the UUMA where travel expenses are more onerous would go a long way. 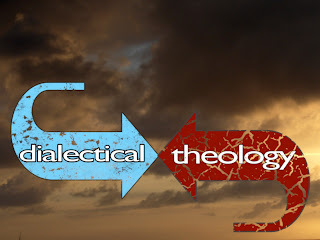 My main point is that most of the language that I hear coming out of the UUA and large congregations ignores the very real issues of geographical isolation. Just because our people are fewer and further between doesn't mean they aren't important - and they're often getting left out there to fend for themselves because the physical distances are too much to allow district, regional, or national staff to pay any attention to them. The evangelicals have shown us that geography can be trumped by technology and vision.